022618 - Senator Elder Vogel, Jr. 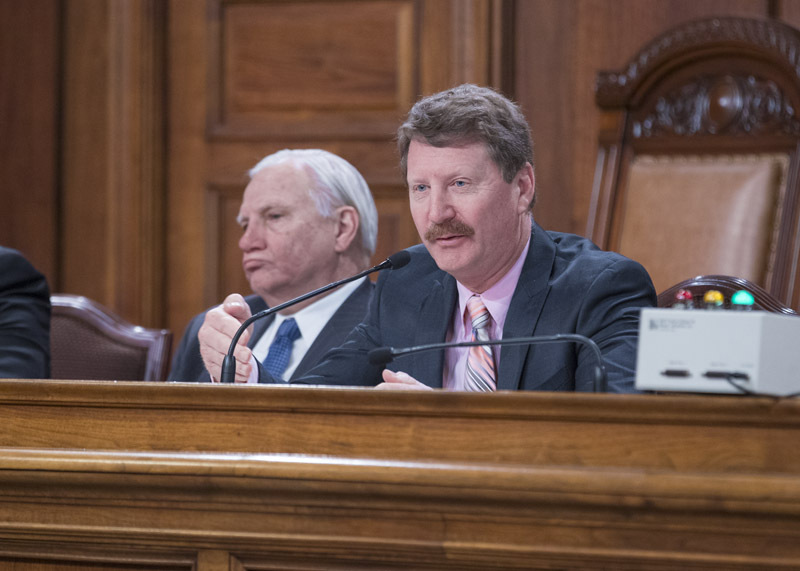 The Senate Appropriations Committee wrapped up its first week of public hearings on Governor Wolf’s proposed 2018-19 fiscal year budget. We heard detailed reports from several cabinet secretaries and other officials over the three-day period from February 20th through 22nd. These sessions were very informative and gave me the opportunity to question Pennsylvania Intermediate Units on their early childhood intervention programs Pre-K Counts and Head Start, and the importance of early childhood education. I heard what the needs are of approved private schools such as McGuire Memorial in Beaver County who serve children with severe disabilities. The Department of State answered my questions about Senate Resolution 394, which I introduced, that tasked a team with looking into PA’s increasingly outdated voting machines and what is being done to update and protect the system. I was able to speak with Attorney General Josh Shapiro about the developments in the current opioid crisis and what is being done by credit card companies to prevent credit card skimmers. I also questioned the State System of Higher Education on advertisement budgets for universities and colleges and the need for larger institution to work with local community colleges. If you’d like to watch my questions to all the testifiers from the first week you can visit my website where each video has been posted. The schedule for upcoming hearings is listed below. The Senate Appropriations Committee will continue its series of budget hearings from February 26th to March 8th. These hearings are an opportunity for the Appropriations Committee and the citizens of Pennsylvania to hear cabinet secretaries and other officials of the Wolf Administration detail their plans for the upcoming fiscal year. Variety’s “My Bike” Program currently provides eligible children with disabilities with a Rifton adaptive bicycle that is individually customized, so they may have the freedom of a bike and the joy of riding alongside friends and family. Variety’s “My Stroller” Program currently provides a Kid Kart® Mighty Lite adaptive stroller to eligible kids with disabilities. Typically, a family must choose between having a wheelchair or adaptive stroller. So, as a wheelchair is more necessary, an adaptive stroller allows for easier “on-the-go” transportation and participation in daily activities and throughout the community. With an adaptive stroller, kids are no longer isolated and it has an immediate impact on their lives. Variety’s “My Voice” Program provides a communication device (currently an iPad with a prescribed communication app) to eligible children with a communication disorder to give them a voice at all times – enabling kids to express their thoughts, feelings, wants and needs. Eligibility for assistance from Variety follows income guidelines along with whether or not you’re located in one of their 54-County service area, which includes all the counties within my district (Beaver, Butler and Lawrence). An applicant’s household income must meet the program’s income guidelines that include: 2 household members (below $81,200); 3 household members (below $102,100); 4 household members (below $123,000); 5 household members (below $143,900); 6 household members (below $164,800); 7 household members (below $185,700); 8 household members (below $206,600). As information, families who have a child with disabilities typically experience greater expenses due to medical costs, therapy appointments, adaptive equipment, medications, and a variety of other needs or circumstances. To apply, donate, look at eligibility, or get more information about Variety’s charities follow this link to their website at www.varietypittsburgh.org or call 724-933-0460. The 2018 construction season will be here before we know it, and that means it is the perfect time to begin planning and preparing your construction project. As you know, most development projects require permits or authorizations from the Pennsylvania Department of Environmental Protection (DEP) and I want to remind you that DEP offers a few tools to help streamline the process for applicants. DEP offers a handful of tools that can be of assistance to clients to determine whether or not permits will be necessary including a Pre-Application Consultation Tool (PACT), which is a questionnaire filled out on-line that immediately produces an email back to the applicant with a list of permitting considerations. DEP also offers a pre-application meeting to clients. This is a highly recommended resource for the public. The applicant would request a pre-application meeting with DEP and DEP would have all the appropriate program staff and possibly the Conservation District and Army Corps of Engineers at the table. The groups then listen to the client’s project pitch and then DEP is able to provide feedback, identify and help mitigate any red flags, provide timeframes, etc. DEP follows up in writing to all clients as well. They have found that having a pre-application meeting early in the process can make a big difference in the flow of the project and get everyone on the same page from the get go. For questions or more information please contact NWRO Assistant Regional Director Staci Gustafson can be reached at 814-332-6935 or gustafson@pa.gov. Camp Erin Pittsburgh is a free weekend-long bereavement camp for kids and teens 6-17 years old. They are partnered with Good Samaritan Hospice to provide a camp for children and teens dealing with the loss of a loved one. The idea is that these children and teens should not have to grieve alone and having a place with peers going through the same thing can help them heal. If you know a child that could use the comfort and support or a college student in need of volunteering credits they can contact Camp Director Heather Beachler at 724.869.6102 or for an application and more information visit the website by clicking here. It’s that time of year again! 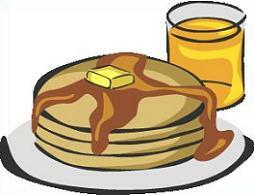 The 41st Maple Syrup Festival, held by the Beaver County Conservation District and the Maple Festival Volunteers, is scheduled for Saturday April 7th and Sunday April 8th from 8:30am-4:30pm at Bradys Run Park. As usual it is featuring Bradys Run 100% pure maple syrup, 100% pure maple candy for sale and all-you-can-eat buttermilk and buckwheat pancakes. There will be demonstrations, crafts, exhibits and tours through the sugarbush available during the weekend’s festivities. Admission to the park is free, while meal tickets go for $9.00 for adults and $5.00 for children. If you are interested in being a vendor, providing entertainment, volunteering or just want more information please visit the Beaver County Conservation District website by clicking here.